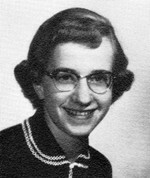 Graduated from University of Michigan in 1963, taught special education for 32 years. Since I retired I have mostly traveled with my husband or done craft projects at home. My favorite memories from school pretty much all have to do with band and orchestra - trips, concerts, marching, making music. In which cities have you lived? Since graduation I have lived in Ann Arbor and Saline. In 2014 we built a second home in Venice Florida where we spend the winter. If you could build a second house, an ideal home, where would you build it? never thought I’d want a second home until we got one. How many family members still live within 50 miles of Fremont? Should you live elsewhere, would you consider moving back to the Fremont area? I travel, cross-stitch, quilt, sew, read, and mess with the computer. What did you "always want to do" that you have not (yet) done? Number of pairs of shoes in your closet? Number (approx) of emails that you receive in a month? Who do you think the next presidential/vice presidential candidates will be? Do you agree that that candidate will be a good president? (yes/no). Have you ever seen anyone born? Can the car(s) you drive be described as "SUV", "Hybrid", "Sports Car" or "Sedan"? What inscription would you like on your tombstone? I am not planning to have a tombstone. 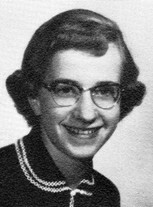 Ruth Leckrone Parker updated profile. View. Ruth Leckrone Parker changed profile picture.